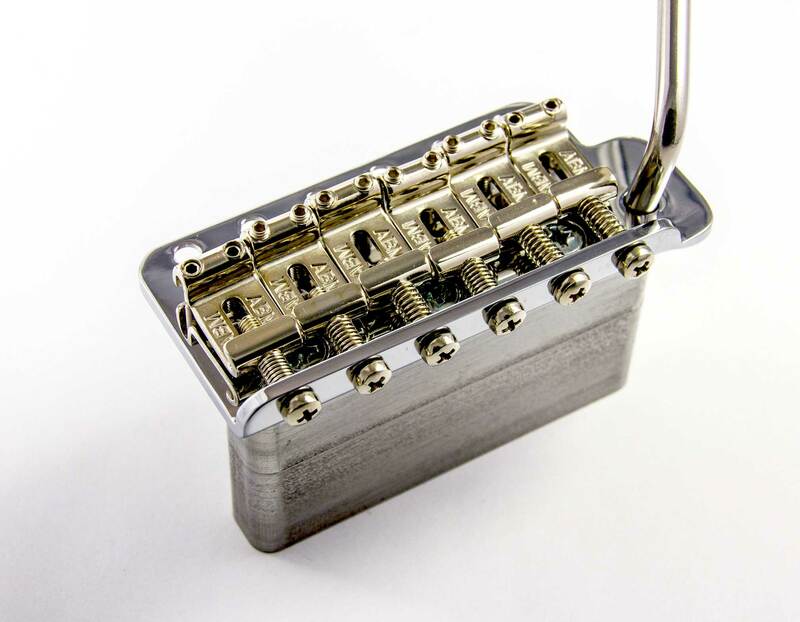 Tremolo with steel block. With aged bridge saddles! Looks much cooler! Replica of the 50ies Fender style tremolo with bent saddles. 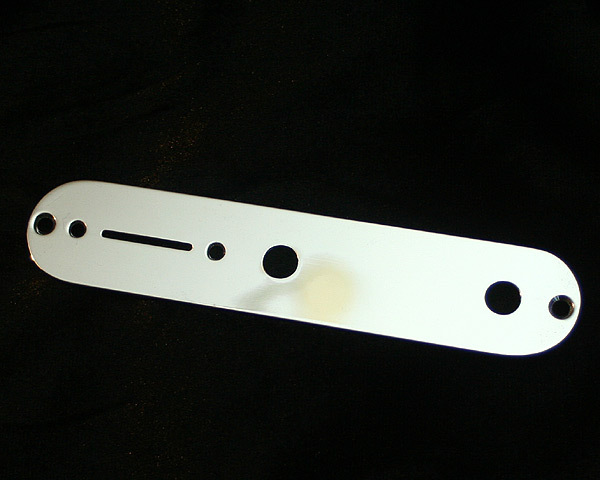 Chrome plated base plate, nickel plated saddles, like vintage Fender. 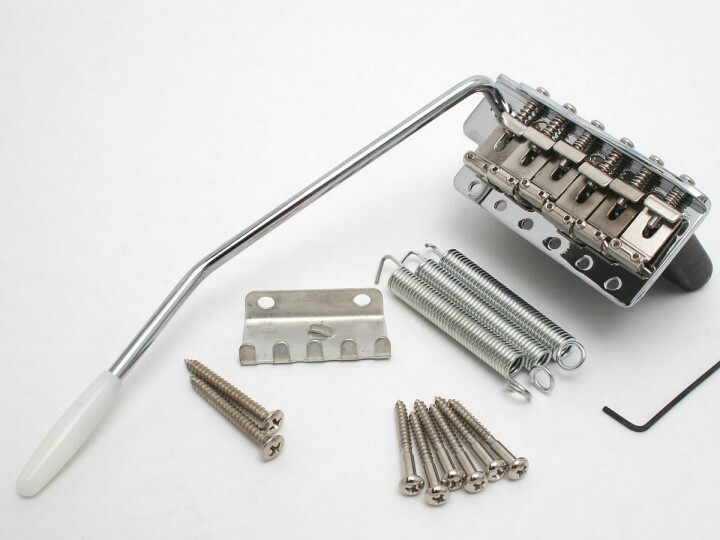 Comes complete with tremolo arm, springs, screws, screw claw, and allen screw.